An easier way to deliver training and develop capabilities. Access to a range of resources to deliver high impact training. Support development through the use of well validated tools. 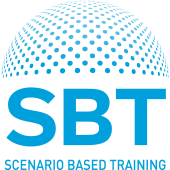 SBT is a training system that has been designed to enable the development of confident and competent leaders and trainers. Users are able to access high impact resources that are designed by experts in their field. The SBT mission is simple, we work hard to develop highly confident and competent people. We do this by providing users with access to high quality resources and high quality support. To ensure every SBT trainer can deliver high impact training every time. To ensure every SBT leader can become a great leader. Working with experts and skilled practitioners, we research and write high impact training content that can be used to develop the required leadership skills and capabilities in any setting. All SBT training materials are developed using a strict quality assurance process, this ensures our high standards are never compromised. All SBT trainers are supported through one to one coaching and a range of accessible resources. Together this maximises the impact of the training and helps to achieve real results. All of our training is evaluated and impact reports are available and provided on a regular basis. Leaders that have attended a SBT training programme can access a range of resources to help develop their thinking and skills. 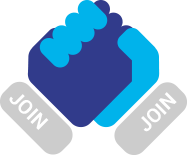 If you would like to become part of the SBT community, please click on the link below and complete the form. Alternatively, call the office to find out more about the SBT system and how you can become a part of one of the fastest growing community of professionals. The SBT system provides you with access to lots of useful resources. The system is updated on a daily basis ensuring that our members benefit from the latest information, tools and techniques. Access numerous articles, podcasts, exercises and other relevant resources to help trainers train and learners learn. All resources are written with relevant work issues in mind. Connect with other like-minded people and share learning and experiences. Trainers can share lesson plans as well as other ideas and tools to enhance their delivery methods. Leaders can communicate with other leaders and share experiences as well as solutions. Various tests and assessments can be used before, during and after training events. The increasing library of diagnostics can also be used to inform individual as well as organisational development. Integrated training event management allowing trainers and administrators to set up and manage training courses. This feature comes with integrated online evaluation enabling full impact analysis of the value and effectiveness of any training events. Trainers can download and deliver high impact training using SBT training materials. Training materials are continuously being updated and cover a range of business critical topics including leadership, teamwork, health and well-being and more. All training courses are evaluated and validated. This feature is only available to accredited SBT trainers who have attended a SBT trainer the trainer course. See courses below. We pride ourselves on the level and quality of customer support that is provided to all our users. Trainers receive coaching on the training they deliver, general users receive updates and information on key topics or issues. Our support team is available to ensure all users make the most of the SBT system and the resources that are available to them. The SBT store enables quick and easy access to low cost high impact resources. Specialist diagnostics, key resources and training materials can all be purchased through the SBT system. You are only ever a few clicks away from accessing a highly valued resource. We call these specialisms as we provide expert knowledge and understanding of these topic areas. Any resources within a topic area has been developed to ensure users have access to the most up to date knowledge, tools and techniques. Behind the scenes, the SBT team are busy working on new and existing specialisms so we can provide our users with access to high quality resources. Users can also contact the SBT team to ask find out about other topics or suggest a specific topic for development. If you can’t find what you are looking for, please contact us and we will do something positive about it! Employee health and well-being is fundamental to organisational success. Happy people are productive people. The resources available to our users will help them to promote and protect health and well-being. For SBT trainers, the available materials will ensure your delegates can apply their learning immediately. For all SBT learners, the available resources will ensure you can develop with confidence. Understanding why people are the way they are is a core mission for psychologists. All our psychologists work with individuals, teams and organisations to better understand the workings of the individual and collective human mind. Our work in this area enable us to provide useful insights into human behaviour underpinned by a vast amount of research and evidence. They say, a leader is a leader is a leader. Our research has shown that not all leaders are the same and some are just better at it than others. Our work has also shown that great leaders make all the difference to the way people see the world of work and how well they perform during good and pressured times. We have a range of resources that enable leaders and managers to get the most from those that they lead and/or manage. A key challenge for the modern organisation is how to enable growth and avoid fixed mindsets. The answer to this challenge is through development of a culture that has positive impacts on employees along with associated systems that support the recording and sharing of learning in a safe way. We have a range of resources that enable leaders and managers to better understand culture and the influence they have on achieving positive change. Our resources also help leaders to enable those they lead to become more confident and effective at work. For SBT learners, the available resources will ensure you can develop with confidence. Do many hands make light work? You would think this is the case. Our work with teams illustrates that team working should not be automatically seen as being synonymous with higher or better performance. Teams do need work. There are a few fundamental requirements to get the most from a team, one of the most important is the notion of trust. We run a number of continuous as well as tailored training courses. All of our courses are evaluated and the impact of each course can be demonstrated. Courses can be delivered in house or at one of our training centres in London, Nottingham or Leeds. All delegates receive a certificate of attendance. Below is a sample of our most popular courses. Please contact the SBT team to find out more. 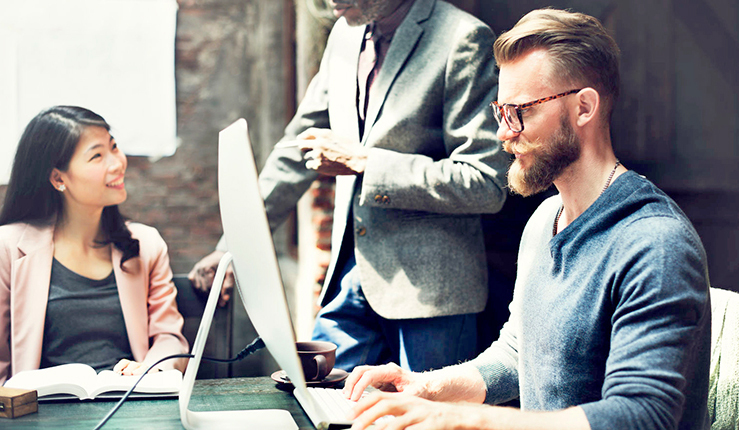 Team based working is increasingly being used at al l levels of an organisation; teams have the potential to gain competitive advantage and deliver optimal performance outcomes. However, just because we describe people as belonging to a team does not mean that the team functions effectively. Effective team work takes effort! This training course will enable leaders to better understand the nature of team working and why it is important within the workplace. Recognise the stages of team development and the best strategies for management. Understand the inputs, processes and outputs associated with successful teams. Learn how to build team identity and cohesion through trust as well as explore the dark side of teams and where action can be taken to improve dysfunctional behaviours. We all appreciate that mental health is a complex issue, and this training is not about looking at the clinical aspects of mental health. 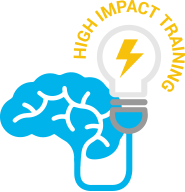 Instead, this training is used to consider how events can influence mental health either for better or worse and to consider what role leaders/managers play in this dynamic interaction. There is a twin focus to this training; 1) how leaders/managers can influence the mental health of those around them and 2) how leaders/managers can manage their own mental health. All courses come with various handouts, diagnostics and access to resources. The importance of not only facilitating debrief sessions but also training individuals to facilitate them effectively should not be underestimated. The manner in which debrief sessions are facilitated can lead to the difference between participants feeling fearful, anxious and threatened or them feeling as though they contributed towards a positive, developmental and learning process. Debrief sessions which are facilitated in an effective manner are also important for shifting the focus away from blame and more towards learning and development as well as protecting staff from the potentially negative impact of traumatic or stressful incidents. Debriefing can be a useful way of establishing lessons learned and also helping to support staff and check their welfare after an incident at work. This training programme will enable debrief facilitators to develop the skills and behaviours that are conducive to effective debrief facilitation. The way in which our work is managed/coordinated and the way in which we are led and lead has an impact on our health and well-being. Through developing a greater awareness of psychological and/or mental health at work we will be in a much stronger position to protect and promote individual as well as collective health, well-being and performance. This training module uses an explorative approach to look at the notion of how leaders can take action to create a psychologically (and physically) healthier workforce. The Supportive Leadership and Management Behaviour course will help you understand what leader/manager behaviours are important for the prevention and reduction of stress, sickness absence and other health and well-being challenges in those being managed. The course will help you to identify which of these behaviours are already part of your management approach and which you will need to develop. Leaders will have an opportunity to review and practice key behaviours as well as access key resources to help consolidate their learning. Training is our business. We are specialists in training design, delivery and evaluation and offer a range of services that ensure our clients can deliver high impact training events every single time. We design and have access to numerous assessments and diagnostics. From individual assessments that can measure personality right through to organisational diagnostic tools that can help to determine the health, well-being and culture of a workplace. Using our unique high impact coaching framework, we have a number of skilled practitioners who are available to provide one to one as well as group coaching. We coach across all levels and experience. Our coaching framework is built on understanding and making the most of individual and group strengths. Our coaching techniques enable clients to quickly achieve their goals and maintain their performance. All coaching sessions and programmes are evaluated to enable clients to objectively see the positive change that has occurred as a result of their coaching experience with us. We run a number of continuous as well as tailored training courses. All of our courses are evaluated and the impact of each course can be demonstrated. Courses can be delivered in house or at one of our training centres in London, Nottingham or Leeds. We offer an independent evaluation and audit service that can identify strengths, impact and quality of any intervention, training or otherwise. Our evaluation and audits enable the evidence to be collected that can withstand legal scrutiny. Are you looking for someone to add something special to an event? We have access to a network of rated keynote speakers that can support conference, training, leadership as well as after dinner events. Please contact us for more information. Do many hands make light work? Is sharing lessons good for individual and organisational health? Please do not hesitate to contact us for more information about SBT. We also don't mind if you call because you have a question about a particular workplace challenge or issue. We will aim to get back to you with a response within 24hrs. Please enter your details below and we will endevour to reply as soon as possible.